Boating, sailing and island tours are very popular in Bermuda as well. The water around Bermuda offers amazing marine life and colorful corals. There are numerous sites of interest on the island like museums, aquarium, caves, churches, historical buildings, traditional homes with lovely architecture, parks & gardens, forts, lighthouses etc. Bermuda has some of the prettiest golf courses in the world, some with sweeping views of the ocean. The anglers too find a paradise here with great options of shore, reef and deep sea fishing. And the hikers of course love this island because of its lovely nature trails through villages, lush landscapes and beaches. Several top class equestrian centers offer horse riding. The island also offers a range of high class spas in serene ambience. The national sports center is open to all including tourists offering great tracks and swimming pools. There are excellent nature reserves and even a forest in this tiny island which are ideal for bird watching. Bermuda has so many native and migratory birds, as well as unique flora & fauna which you can keep exploring for days. NOTE: If you are planning some downtown activities in the evenings in places like Hamilton City, be aware that all stores and retail outlets close by 5pm Monday through Saturday, and remain closed on Sundays and public holidays. So on a weekday after 5pm or anytime on Sundays, you will likely find the places deserted. An exception is Harbor Night festival which takes place on Front Street (Hamilton) on Wednesdays during summer season. This is when the on-street activities continue until late hours and most stores on & around Front Street remain open until 9:30pm. Snorkeling: Can be done during summer (May to October when the average water temperature ranges from low 70s to 80s). It can be done in other months as well, but requires wetsuit. Sunset & Sightseeing Cruises, Sailing and Boat Rentals: Can be availed round the year. However during low season (November to April), several operators close down operations. Some do it on advanced bookings. Kayaking, Paddleboarding, Jetskiing, Parasailing, Flyboarding: Can be done round the year. During winter (November to April), limited operators are available. Kitesurfing: Can be done between December and May. Golf, Tennis, Spa: Available round the year. Winter is a great time for golfing and tee time availability is higher. Fishing: Reef and Shore fishing can be done round the year. Deep sea fishing can be done between May to October. Note that the season for wahoo, yellowfin tuna, marlin is June-July. Spiny Lobster season is from September to March and you can dive with the locals for the catch. Hiking & Cycling: Can be done round the year and the well known Bermuda Railway Trail remains accessible. However in summer (June to October) the air temperature can easily reach 80s during the day and humidity over 80%, so it can get quite uncomfortable. Horseback Riding: Can be done throughout the year. However beach rides are allowed only during low season (November to April, but trail rides are always open). Scuba Diving: Can be done round the year. However in winter (November to April) while the water visibility is much higher, the average water temperature remains in 60s and will require a wetsuit. Helmet Diving: Can be done during summer (May to October when the average water temperature ranges from low 70s to 80s). Whale Watching: Can be done in March and April. This is the migration season of humpback whales. Bird Watching: Different kinds of birds can be season in different season. However the rare Cahow (which is the national bird of Bermuda) can be seen between December to February. Glow Worm Cruises: Available between May to November, once a month (2-3 nights after full moon). Cliff Jumping & Rock Climbing (Soloing): Can be done during summer (May to October) when average water temperature ranges between low 70s to 80s. Here is a list of water sport activities. To book an activity using world's #1 service, go to this section. There are great nature trails through beaches, parks, villages & landscapes that offer you great hikes and awesome views. The most popular is Bermuda Railway Trail which spans across the island passing by coastline, nature reserves, forests etc. Some take the self guided walking tour of the historic town of St. George, many love the hike on South Shore Park. There are many more. Check out Bermuda Walks & Hikes to choose the ones you like. If you are not the kind to swim or snorkel, rather like to take a relaxed boat tour to get lovely view of the coast line from Bermuda's waters, or see the fascinating marine life and corals through a glass bottom view from a boat, take a boat tour. You can even see turtles if you are lucky and even partially submerged shipwrecks. There are boating tours that also offer sunset & cocktail cruises, dinner cruises, and also those that show you famous homes and hideaways along the coastline. Check out Boating & Sailing Tours to know all about such cruises. If you are in a small group and looking for privacy and flexibility, Boat Charters would be the way to go. You can sail in the east, get into the Castle Harbor and see the small islets that are home to many Bermuda's British fortifications, or explore the west end by going below the world's smallest drawbridge called the Somerset Bridge and then into the picturesque Ely's Harbor, explore the bays and see the Royal Naval Dockyard. Charter boats give you many other options including BBQ on board, coolers, snorkeling stops, sunset views and lot more. Bermuda golf courses offer spectacular ocean views and lush green expanses that you will rarely find anywhere in the world. While there are courses that are regular venues for PGA Grand Slam and take pride to host top golfers in the world, there is also golf academy and even 18-hole fun mini golf course. Visitors can easily book tee time online on most of these courses. Fishing in Bermuda can be of three types: Shore Fishing, Reef Fishing (along reef lines) and Deep Sea Fishing (beyond the reef line and in open ocean). Shore or line fishing is usually done from the rocky shores or sometimes even from the bridges. The other two require you to avail a fishing boat (in group or charter). Visit Bermuda Fishing for a complete guide to know the best fishing locations, the common catches and the best fishing boat operators. You can ride all throughout the year in Bermuda, along the coastline, on the old railway trails or through the lush hilly landscapes. Several riding centers in the island offer guided trail rides. Check out Horseback Riding for details. Spring time (i.e. March to April) is the best season for watching the migrating humpback whales in Bermuda. This is when these awesome mammals migrate from the Caribbean mating zones to the north Atlantic feeding zone. There are some great whale watching boat tours that let you see the whales looping on the water surface from a close distance. You can also spot whales from several places on the shore. Check out Whale Watching to know all about this increasingly popular activity in Bermuda. The island boasts of its wonderful array of spas many of which are resort spas but accessible to outside guests as well. Several of them are ranked within the first top five hotel spas in the whole of Caribbean, Bermuda and Bahamas. Most spas are full service and offer a range of body treatments, massages, facials, manicure & pedicure and salon services. Their therapeutic treatments use fresh herbal and organic ingredients and oil. Some spas are ocean facing with great views of the water, while several are in serene tranquil environment in lush garden settings, and there is one in a natural cave by the side of a lake. Check out Top Bermuda Spas to know about the great spas in the island. There are plenty of activities that you can plan in Bermuda specifically for your family and kids including visits to great playgrounds, family beaches, water sports etc. Check out Bermuda for Kids & Families for details. Well, I don't think one often visits Bermuda only to explore its wildlife. That's probably because there isn't much that you can expect in an island that itself has a size of 21 square miles. Having said that, there does exist some unique wildlife in Bermuda that can amaze animal lovers. And some animals are endemic and can only be found in this island. Visit Bermuda Animals & Wildlife to know about the various animals including birds and fish of Bermuda. Imagine yourself jumping off a cliff as you swerve through the air in free gravity and then splash into the turquoise blue water. And in some places you can swim through underwater caves before coming out of water. Some of the most popular cliff jumping sites are Admiralty House Park (located on north shore at the outskirts of Hamilton) and several cliff tops (not all) at Horseshoe Bay Beach. Visit Cliff Jumping for details. The island of Bermuda itself is a large rock and therefore it's no surprise that there would be numerous rock faces to climb. In fact there are over 50 rock routes for sports climbing and over 250 for Deep Water Soloing. More routes are coming up as the sport is becoming increasingly popular in the island. Visit Rock Climbing for details. There are countless island made items that can serve as excellent souvenirs or gifts, or to add to your own collections of jewelry, accessories and fashion. Bermuda cedar items, banana dolls, charms made with natural pink sands, or even Bermuda's unique rum cakes are few of the many great buys. 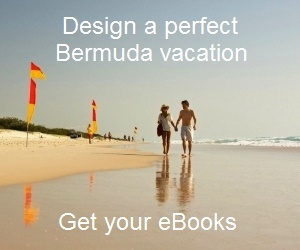 Visit Bermuda Shopping for full information. There are several movie theaters in Bermuda that screen mostly latest Hollywood movies as well as European and Caribbean cinemas. Check out Bermuda Movie Theaters for location and other information. Bermuda has numerous sports clubs, fitness centers, yacht clubs, social clubs (like Rotary and Lions) etc that are scattered throughout the island. Check out Bermuda Clubs & Associations for details. There are operators and outfitters offering plenty of watersports and other activities in the dockyard area and surrounding Sandys parish. They are ideal for the cruise ship passengers docking at the Kings Wharf or Heritage Wharf. Activities include boating, Jet ski, offshore snorkeling cruises, diving, parasailing, flyboarding and more. Check out Dockyard & Sandys Activities to get complete details along with contacts. Hamilton City being the capital and commercial center of the island, has a huge tourist influx and has become a major hub of recreational activities as well. Check out Hamilton Activities to get complete information about all the sporting and recreational activities offered in the city. Select and book from a range of activities & tours using World's #1 online service (Viator) at low prices. Hi, Lawn bowling was available at Coral Beach & Tennis Club. But it has been sold out to a New York based company in last December. Since then it's not in operation yet. Don't think there is any other place in the island that offers lawn bowling facility now.